Ensure your safety and find the best prostate formulas 2019 for your prostate health. As we end the year and start fresh, it’s time to consider facts when you select the best prostate remedy for enlarged prostate symptoms or BPH. Know where and how your product is manufactured. If your vitamins or supplements are manufactured in a cGMP, GMP certified, or GMP registered facility in the USA they are in fact regulated. The FDA periodically inspects these GMP manufacturing facilities (annually-biannually). The FDA examines all records for each lot number. They discern the integrity of the ingredients prior to manufacturing and post manufacturing of the finished products for FDA regulation compliance. These cGMP facilities have finished product stored for every lot number manufactured and it is used for testing by the FDA for confirmation when it is necessary. Any manufacturing facility within the United States that fails to produce these records is shut down and barred from making vitamins or supplements in the future. In addition owners of these facilities found in violation do go to jail. It is important to look for “Made in USA”. It is important to know what you are swallowing. Misleading Websites and Fraudulent Claims by Advertisers. The biggest problem for consumers is getting honest information from the marketing of these supplements and vitamins. Too often the marketing of supplements includes treatment claims. These are illegal. If you see the word “treatment for” or “cure for” then the buyer should beware. Both the FTC (Federal Trade Commission) and the FDA pursue treatment claims and issues warning letters and prosecute these companies. But it is important for consumers to be the watch dog and report false advertising to the FTC. 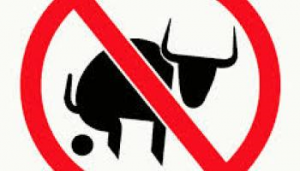 Another problem is the internet and all of the review websites like prostatepillreports.com that allege that one product has been tested and is superior over another. These sites base their ranking of products on compensation and they hide an FTC disclosure statement. These disclosures protect the website as they tell you that it is “opinion” and not clinical studies that influence the ratings and rankings. The product that is number 1 is their bread and butter. Often the owner of the site is also the owner of the product chosen as the best. Often websites that appear legitimate ConsumerHealthDigest and Newsmax are actually commercial websites that receive compensation and kickbacks to promote one product over another. These review and ranking websites make money when you choose to purchase a product from their website. Look for the word “Disclosure” which is an FTC law that requires the website to inform the consumer about this conflict of interest and compensation. The key is “Do not be misled”. Even the famous Consumer Reports was prosecuted for ranking and rating products due to a “kickback” or the nicer term “compensation”. Unfortunately search engines providers (Google) are focused on profit and money. In 2018 we witnessed “Net Neutrality” laws removed by the FCC ( click here to learn more about this Federal Communications Commission change). When consumers performed a search on key words like “best prostate” the organic search results would show www.bestprostate.com and now when consumers type those keywords or search terms the website is no where in the search results. Now the owner of the website must by advertising from Google and every time a consumer clicks on an ad. The owner must pay a fee generally $3.00 and more depending on what Google feels it is worth. This increases Google’s profits and increases product costs for the consumer. The days of a true organic search are gone. Example “best prostate” is a ® registered trademark. Giants like Google allow companies to use registered trademarks in the title of these paid advertisements. In allowing this they are profiting off of trademark infringement. A trademark lawsuit can take years and cost $100,000.00 or more. The only ones making money here are the lawyers and the courts. The consumer enters what they want to see or find into the search engine. But what is returned to the user is advertisements. Manufacturers pay to be on the top of the page results for the search words you enter. The search provider Google has a monopoly with Android (non-Apple) mobile devices. The Google Chrome browser is your first clue. Sadly a majority of tablets and cell phones force the user to rely on Google. Even Apple users are fed Google results through the Safari browser. You the user should have the ability to select a search engine of your choice on these devices. Ultimately it is you the consumer who suffers from this fraud and dishonesty. This is occurring with all products: best prostate formulas, dog foods, and even car insurance. It could be whatever you are trying to find or looking for. To protect yourself look for a “disclosure” statement. 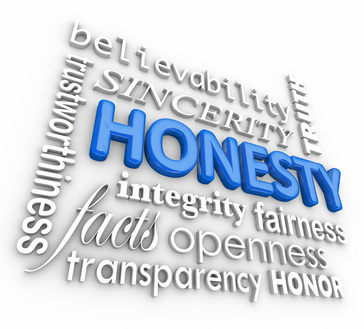 This allows you to understand the flow of money and lack of honesty. Companies protect themselves with disclosures to meet the legal requirements of the FTC (Federal Trade Commission). A good example is the celebrity Larry King, for those familiar with his shocking report / review of prostate supplements. The following disclosure clearly informs the consumer. Visitors rarely look for the compliant FTC Disclosure Statement. The best way to choose any product is to follow these guidelines. Is it cGMP (Good Manufacturing Practices)? Call the company and ask questions if you have any. The answers should make sense. Beware “Free Trials” that sign you up for auto-shipping and automatic billing. Look for the FTC Disclosure on websites that rank or rate products. Find the Company’s name and visit the Better Business Bureau website. At the BBB website what is important is the number of “Customer Complaints” on file. Look for products and companies that have third party endorsement. Some examples are: “Natural Products Foundation / Truth in Advertising Pledge” and “Verified Ingredients (Click to see example)”. By taking these few steps, as mentioned, you can be assured that you are getting the best prostate formula 2019 or other type of product. If you visit https://bestprostatereview.com/ the website contains five tools to help you check out products and companies. The tools can be used to check out any product. Examples: diet or weight-loss products, hair products, testosterone boosting products and cosmetics. We believe this article will ensure that you get the best prostate formula. Understanding the game and methods used to influence your decision can hopefully remove the B.S.. We do hope that you find this information useful and will share it with friends and family. Social media websites like Facebook, and Twitter, etc. are very powerful these days. This article is sponsored by IMS Supplements, Inc. and the product Best Prostate. Get the truth about prostate formula reports, reviews, and rankings. Consumers do not realize these websites are advertisements and receive compensation for the products ranked and reviewed. The most important thing a consumer can do is look for the FTC disclosure, which is a legal requirement. Protect yourself. The disclosure allows you to make an informed and educated choice about what they are being told or sold. This is especially true with health products and prostate formula reports and rankings. Does the product I’m buying really have those ingredients in the amount stated? There is only one way for a consumer to insure that a supplement or prostate formula meets FDA label claims. Confirm that the product is made in a registered or certified GMP manufacturing facility. When a product is manufactured in a GMP registered or certified facility it is manufactured under strict FDA guidelines. Both a chemical and quantitative analysis is performed and documented and remains on file for FDA review. GMP manufacturing facilities have FDA reviews to confirm compliance. When a manufacturing facility fails an FDA audit they are fined, lose their certification, and are prosecuted. Websites that rank one product as better than another. Websites that rank and appear to review Prostate Supplements or health products should be a signal for you to be cautious. Look for a posted disclosure. Celebrities are regularly paid to endorse products. When you see a celebrity or well known television personality, look for a required disclaimer. 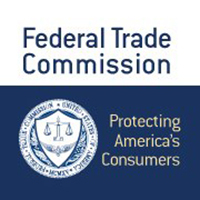 Websites are legally required to contain an FTC disclaimer. These ranking and review websites are sponsored (sites that simply are Advertorial aka advertising). You the consumer need to know this. No quantitative analysis or clinical studies have been done that would allow any scientific comparison of the products that are ranked or reviewed. The reviewing staff should be identified and have qualifying credentials (Pharmacist, Medical Doctor). FTC (Federal Trade Commission) Compliant websites. The following websites have legally posted FTC disclosure statements. It is important for the consumer to read website disclosures and understand them. The following website is FTC Compliant. We acknowledge and commend the website for compliance and the clear FDA legal notice and FTC disclosure. If you visit www.prostatereport.com you will find the publically displayed image below at the bottom of the webpage. This shows the owner of the website and the required FDA disclaimer. You will also note that under the Company heading you will see “FTC Disclosure” When you click on this link the legally required public FTC Disclosure below will open up. The image below can be found at the bottom of this websites main page. The image below can be found by clicking on “FTC Disclosure” as shown above. 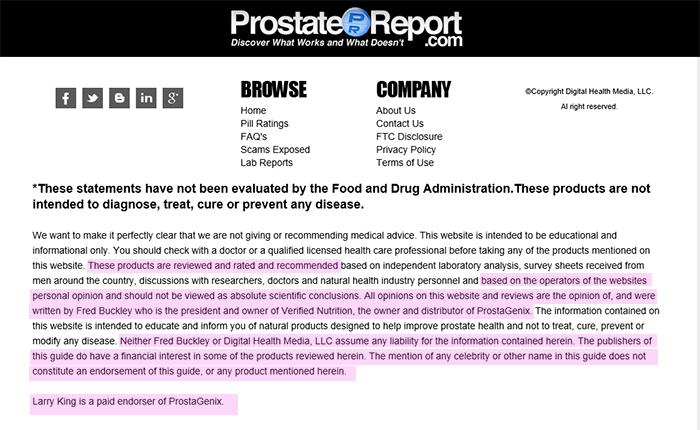 http://www.prostatehealthjournal.com/supplement-reviews-2/ – this site is presently in violation of the FTC (Federal Trade Commission) as it doesn’t even have a disclaimer posted. 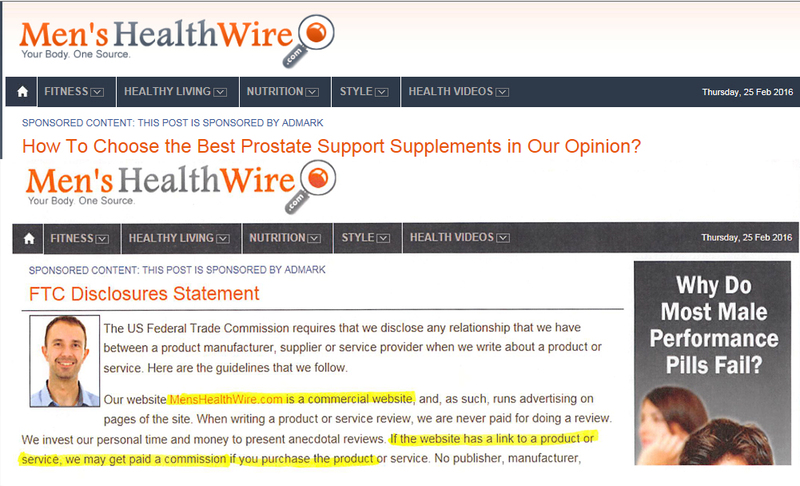 This warning concerns FTC Disclosure and Trademark Infringement of the Best Prostate trademark by MensHealthWire.com. Consumers should know that the referenced website suggests that they are offering an honest assessment of prostate products. However no where on this site do they provide the educational qualifications or credentials of any reviewer. In addition no information or documentation is provided for the quantitative analysis performed by this staff that establishes the ranking of the prostate supplements being sold on the website. Consumers need to beware that this site is SPONSORED CONTENT: and the information POSTED IS SPONSORED BY ADMARK as identified. In the past you may have purchased Best Prostate at Amazon.com. Some customers have contacted us and have asked why we stopped selling on Amazon.com. Unfortunately we have an issue with the product review process at Amazon. Anyone is able to leave a review for a product at Amazon even when they have never purchased or even tried the product. When someone purchases Best Prostate either via our websites www.bestprostate.com and www.imsnaturally.com or through www.amazon.com we have a record of the purchase and the ability to contact the purchaser in the event of any unforeseen issues. An example would be a recall in the event that it was necessary. This is in compliance with the FDA “Dietary Supplement and Nonprescription Drug Consumer Protection Act” . When we noticed reviews that were obviously fraudulent we contacted Amazon.com to have them removed and despite this Amazon refused. Hence we felt that consumers were obviously being mis-led by these reviews. Due to some companies that practice un-ethical marketing practices in the North American and annual litigation costs to address these fraudulent actions we felt it necessary to discontinue our product from sales at Amazon.com. We are reconsidering our position and are attempting to work with Amazon once again, however, we will not compromise honesty or integrity when it comes to any product we sell. Thank you for understanding our position on this matter. In addition we feel that reviews provided by parties who have not actually purchased or used a product violate Federal Trade Commission laws. 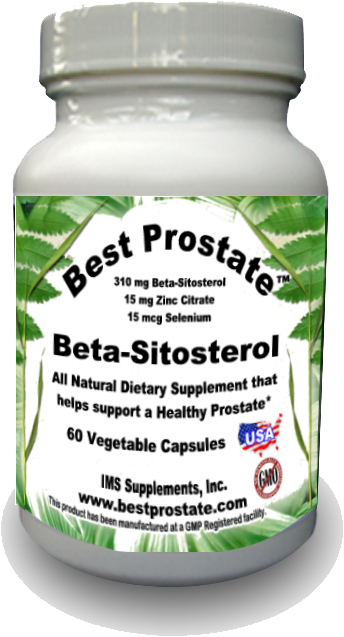 Please feel free to leave your review for our product Best Prostate. Once we have confirmed that you have purchased the product with our database we will approve your review to be published here.